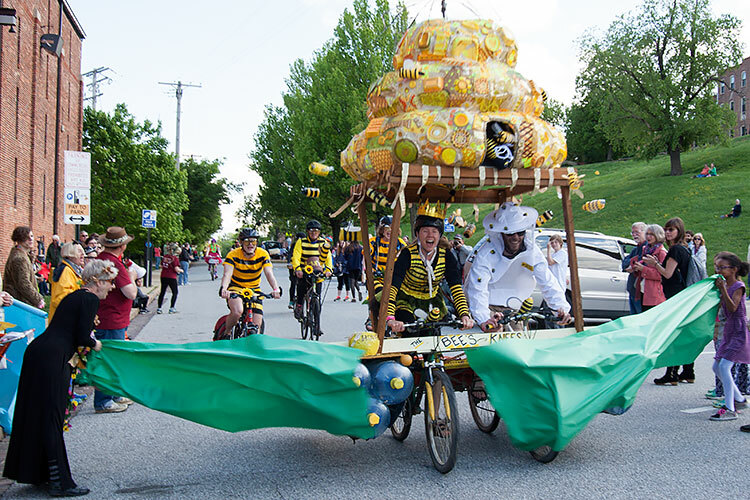 What a glorious 18th Kinetic Sculpture Race in Baltimore! 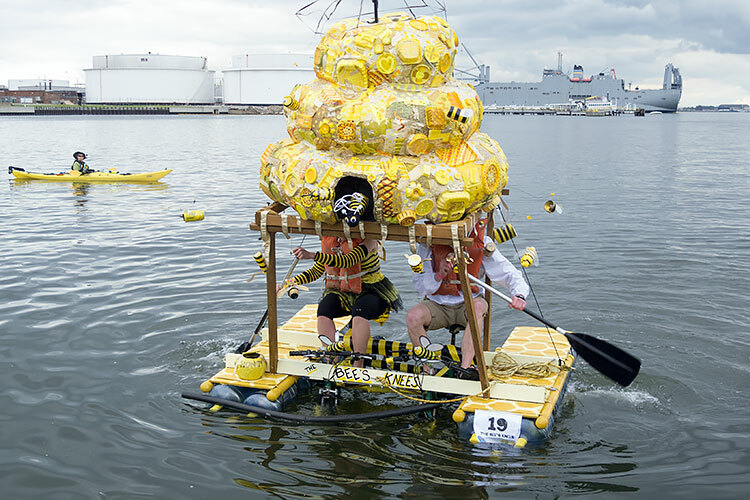 With highly favorable weather, a delightful assortment of sculpture teams brought amazing human-powered amphibious art for the 14-mile race. A team of 9 KineticBaltimore.com photographers took to kayak, bicycle, scooter, automobile, and more to document the race for the Kinetically Curious. We proudly present our 2016 race coverage. 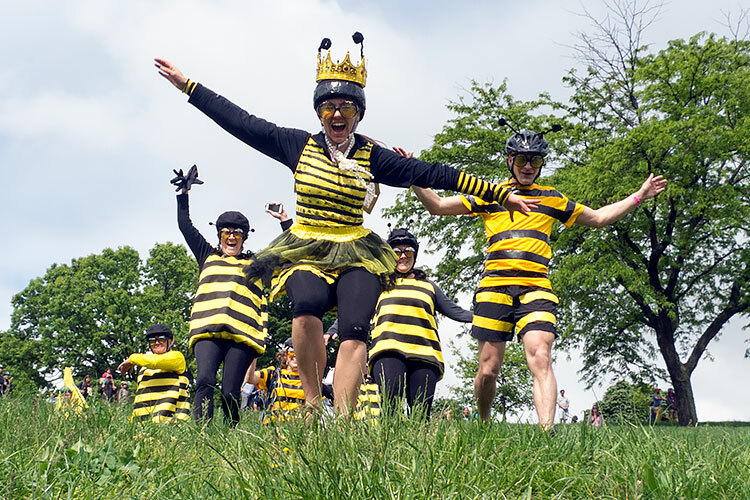 Taking home the trophy for 2016 Grand Mediocre East Coast Champion was The Bees’ Knees, a team from Washington DC entering their third race, a gathering of 9 bees and 1 beekeeper. 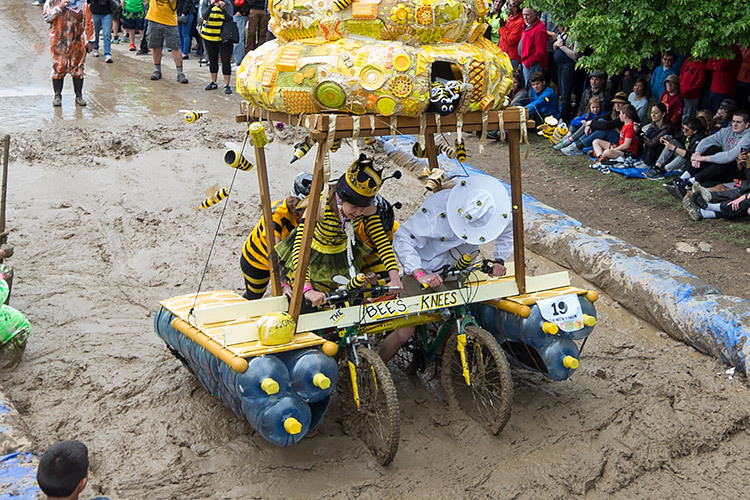 The Kinetic Sculpture Race begins with a LeMans Start, in which all the racers are away from their vehicles. After the opening ceremonies, the 10am gong sounds to start the race, and costumed pilots and crew run down Federal Hill to jump into their vehicles and begin the 14-mile journey. 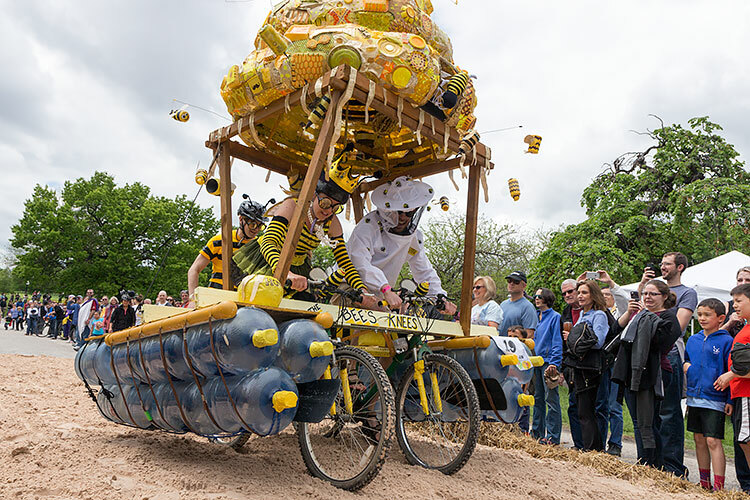 The Race Rules state “Each Sculpture must carry at all times 1 comforting item of psychological luxury heretofore referred to as the ‘Homemade Sock Creature’ (HSC).” The Bees’ sock creature is a yellow-eyelashed bee flying from the hive. 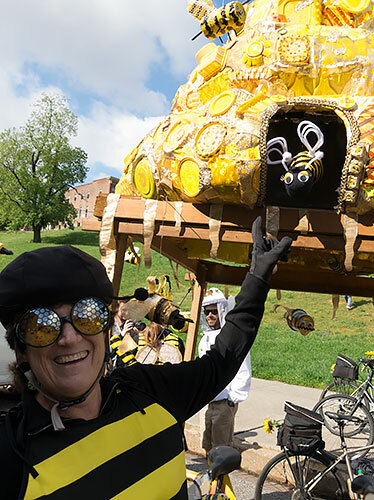 Other bees were decorated 12-ounce cans with eyes, wings, legs, and antennae, held aloft by wires from a skeleton umbrella. 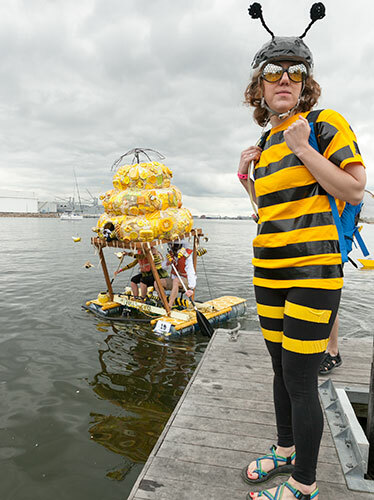 The hive was rather sturdily held afloat by an array of 5-gallon water bottles as pilots paddled. The Bees traversed the sand without external assistance. Getting through the mud required pit crew to push. Pushing is allowed for non-ACE entries. 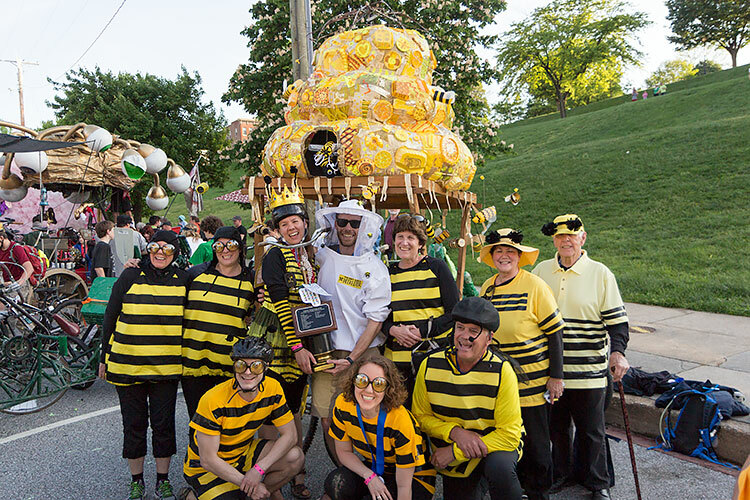 With bees still flying, they broke through the tape at the American Visionary Art Museum finish line to complete the race.